If you attended the event and have not yet received your link to access presentations and event photos, please contact Ellen Wheable on ellen.wheable@forum-europe.com. Please click here to view photos from Day 1 and here for Day 2. 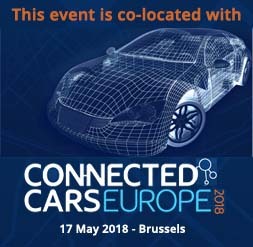 The event brought together leading industry stakeholders, including large telcos, hardware manufacturers, software developers, cloud providers, entrepreneurs, consumer advocates and the key decision makers to explore the current IoT ecosystem in Europe, and address the impact that IoT will keep having on the European society. •IoT and the DSM: Will a European single market for IoT be achieved? What to expect post-2019? •Is Cybersecurity keeping up with IoT developments? For more information about how to become involved in next years edition, please contact ellen.wheable@forum-europe.com or alternatively please download the sponsorship brochure here.